Send an elegant gift of whisky in a beautifully adorned hand-finished exclusive gift trunk as an enticing treat to your receiver. 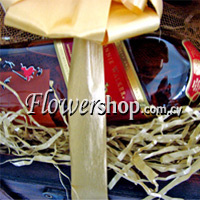 The prestigious gift trunk contains a classic Johnnie Walker whisky. The heritage of Johnnie Walker whisky dates to 1820 when John Walker opened a small shop in Kilmarnock in Scotland and began selling Scotch Whisky. John Walker made a name for himself by mastering the art of blending single malt whiskies from distilleries all across Scotland to create a very high quality whisky, much better than any of the single malt whiskies. It�s the number one selling Scotch Whisky in the world! Your recipient will appreciate its mix-ability with soda and in a variety of other classic Scotch cocktails. 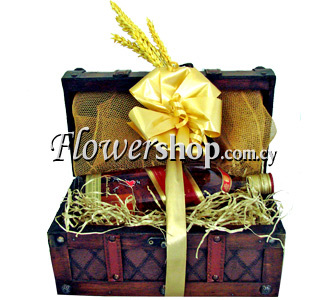 This Whisky Gift Trunk is an exquisite piece of furniture by itself that will decorate the recipients� home or business.